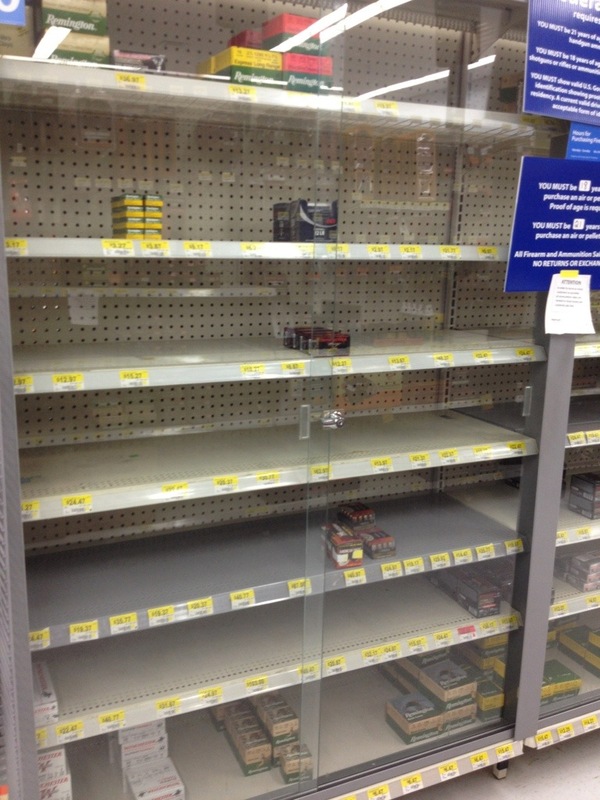 Very little ammo left at Walmart. Either selling out fast or not getting any new deliveries. Used to be $13 box of target 9mm now not even on shelves. Wow, clay pigeon targets still available. Government buying a lot of ammo all up.